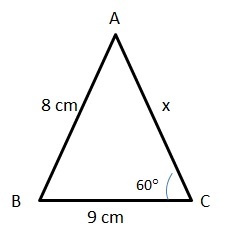 The question is from the topic triangles. Two sides and one angle of a triangle are given we have to find out the possible values of the third side. CAT Geometry questions are heavily tested in CAT exam. Make sure you master Geometry problems. Apply the cosine rule here! 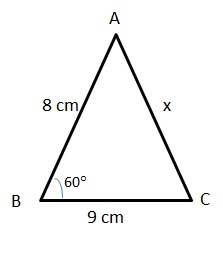 Question 33 : The two sides of a triangle are 8 cm and 9 cm and one angle is 60∘. Which of the following can be the length of its third side? 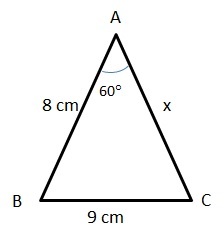 Method of solving this CAT Question from Triangles: There are three cases. Hence, the answer is Only II, III and IV.